MW 10:00-11:00am and by appointment. Ph.D. in History and Philosophy of Science. University of Pittsburgh. 2004. B.S. in Physics. Georgia Institute of Technology. 1998. For the last decade and a half I have worked on foundations of quantum information theory and quantum computing. Over the last year I have shifted my focus to the topic of scientific understanding, a previously neglected but recently reinvigorated area of research in philosophy of science. I am currently working on a book length treatment that advocates for a particular view of understanding, modal understanding, with Soazig Le Bihan. “Understanding Quantum Phenomena and Quantum Theory”, Studies in History and Philosophy of Modern Physics (forthcoming). “How to make orthogonal positions parallel: Revisiting the quantum parallelism thesis”, in Physical Perspectives on Computation (2018), ed. by Michael E. Cuffaro and Samuel Fletcher, Cambridge University Press. “Exploring the Frontiers of Computation: Measurement Based Quantum Computers and the Mechanistic View of Computation”, in Turing 100: Philosophical Explorations of the Legacy of Alan Turing (2017), ed. by A. Bokulich and J. Floyd, Boston Studies in the Philosophy and History of Science, Springer, vol. 324, pp. 219-232. “Representation, Interpretation, and Theories of Information”, in What is Quantum Information? (2017), ed. by Olimpia Lombardi, Sebastian Fortin, Federico Holik, and Cristian Lo Ìpez, Cambridge University Press, pp. 9-34. “Quantum Information and the Interpretation of Quantum Mechanics”, in La philosophie de la physique (2013), ed. by Soazig Le Bihan, Vuibert Editions, Paris. "Uncomfortable Bedfellows: Objective Quantum Bayesianism and the von Neumann–Lüders Projection Postulate," Studies in the History and Philosophy of Modern Physics, 42(3) (2011): 167-175. "Quantum Information Does Exist," Studies in the History and Philosophy of Modern Physics, 39(1) (2008): 195-216. "Re-conceiving Quantum Theories in Terms of Information-Theoretic Constraints," Studies in the History and Philosophy of Modern Physics, 38(1) (2007): 181-201. "The Many-Worlds Interpretation and Quantum Computation," Philosophy of Science 74(5) (2007): 1007-1018. 2016-present Full Professor. Department of Philosophy. University of Montana. 2010-2016 Associate Professor. Department of Philosophy. University of Montana. 2011-Fall Visiting Fellow. Center for Philosophy of Science. University of Pittsburgh. 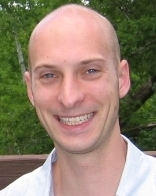 2006-2010 Assistant Professor. Department of Philosophy. University of Montana. 2005-2006 Wissenschaftlicher Mitarbeiter. Department of Philosophy. University of Erfurt. 2004-2005 Postdoctoral Fellow. Center for Junior Research Fellows. Probability, Philosophy, and Modeling Research Group. University of Konstanz.